Essex County Power Wash is pleased to offer power washing services throughout the entire county. Power washing and pressure washing are key methods for maintaining the value of your home and keeping residents healthy. Remove equipment in such a way that the landscaping is preserved. We know that homeowners have opportunities to rent and complete pressure washing on their own. The process, however, is more of a hassle than people tend to expect. 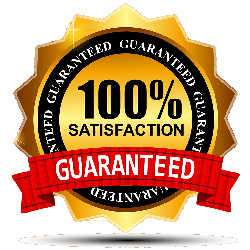 By hiring Essex County Power Wash to complete a pressure washing service for your home, you get the benefit of our experience and know-how. We have been power washing in the towns in and around Essex County for many years, and are familiar with the needs and wants of New Jersey homes and customers. By power washing your home, you remove mold and mildew, discourage creatures from nesting, remove insects, and remove both natural and manmade pollutants from the exterior of your home. Over time, tree sap, acid rain, and air pollution can discolor your home’s exterior and make it more vulnerable to damage. By removing these items quickly, your home will retain value and be more comfortable to live in. In general, we recommend that our customers power wash their homes once a year, with more frequent services after intense rainfalls, a humid summer, or anything else that causes a home to look dirty and dingy outside. To find out how Essex County Power Wash can maintain your home in Montclair or the other communities in the county, contact us today. The exterior of me house was filthy. Over the years, the vinyl siding had gone from white to grey. My house looked really old and run down. I hired Essex County Power Wash to clean it, and now it looks as clean and white as the day we had it installed!